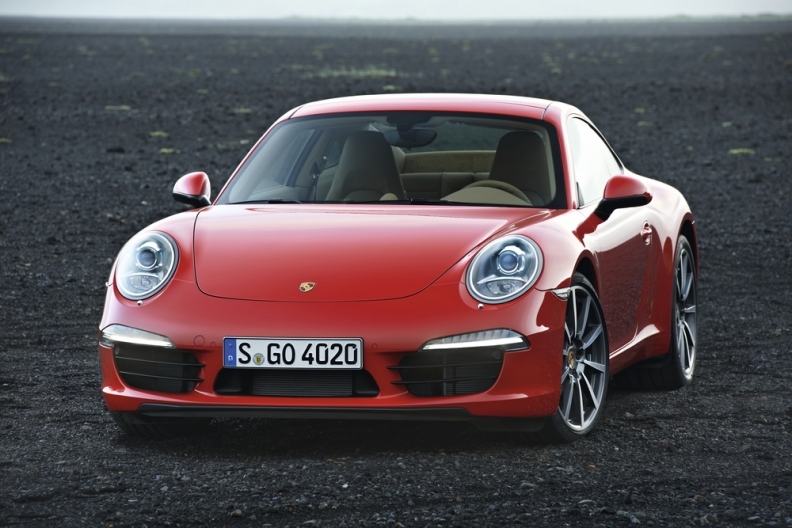 The latest 911 could be the most successful generation of the iconic sports car. STUTTGART – Porsche intends to sell an average of 40,000 units a year of its latest 911 sports car over the model's lifecycle, doubling sales compared to 2010. Automotive News Europe learned the automakers' plans from a high-placed Porsche management source. Last year, Porsche sold 20,000 units of the 911, its core model. The seventh generation of the 911 will have its world premiere at the IAA in Frankfurt next Tuesday. In March of this year, Porsche CEO Matthias Mueller was still looking at sales of 30,000 units on average for the new model. That would've made it the "most successful 911 of all time," he told Automotive News Europe. Porsche did not officially confirm the projected higher sales target. Sales and marketing chief Bernhard Maier told Automotive News Europe: "We are confident that the 911 will continue to take a strong position in the Porsche sales mix. The vehicle is the icon of the brand." Customer orders for the 911 start on September 1. The car arrives in European showrooms in December and in the United States and China in March 2012. Maier confirmed Porsche's global sales prediction for this year. "Our 2011 sales are projected to exceed 100,000 units. They were just over 71,000 from January to July. Those are very good results," he said. In 2010, Porsche sold 95,000 vehicles worldwide. Maier expects a new sales record in the U.S., Porsche's largest market. "The U.S. is again expected to be our largest single market in 2011. If the economy cooperates, we believe we can take aim at the 29,000 mark." Porsche sold 25,300 units in the U.S. in 2010.